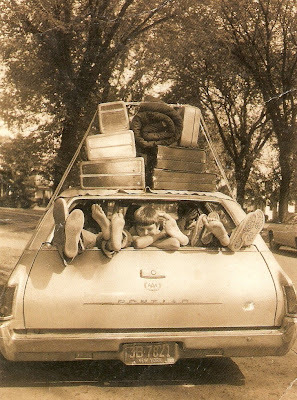 When I was a kid my father would pile us all in the car and off we'd go on some adventure or another. My husband is so unlike my father in this way. He has to be dragged, practically kicking and screaming, to go any further then a ten minute drive. Once he gets where he's going he's happy and says 'We should have done this ages ago'. God alone knows how he made it to America. What was once a high traffic shopping area has become a high traffic mess. Jaraba Street is being torn down left and right. A few shops are left selling merchandise - actually they aren't really shops because they have no windows or doors - just a shell of a space amidst the rubble. Why they are letting people into the area is a mystery to me. And why anyone would want to go there is another mystery. Does anyone think of their safety? Broken bits of cement, shards of glass, electrical wires poking out every which way and buildings that look as though they will collapse at any minute, not to mention heavy equipment, bulldozers and workers banging away at the rubble. Here you find the stupidest people walking about - women and men along with their families, including small children; all of them looking in the few remaining shops for some kind of bargain. We finished lunch and decided to go to the farm, as we had planned. Of course as soon as we walked out of the house it started raining but we decided to continue on regardless of the weather. Enough of the house... we desperately needed to get out! The past few weeks I have noticed that one of my tires has been losing air. No amount of nagging would get hubby to take it to have it checked out. Today was the day it decided to go flat - thankfully we made it to the farm and it went flat as we pulled into the driveway. It also stopped raining at the same time, so Yusef got to work changing the tire. Last week Yusef found an injured hawk and he's been taking care of it. Some fool had cut off most of it's wings in an attempt to keep it from flying away - but it managed to escape anyway. Yusef is going to keep it safe until it can fly again and then he will release it. Hopefully the damage to it's wings won't be permanent. Why does it seem that Libyans always treat animals so cruelly? I took a chance while the weather cleared a bit to take a walk. The kids were busy with the tire and the hawk. One of the dogs came along to keep me company. He was sniffing in all the greenery. The recent abundance of rain has resulted in the wildflowers coming in thicker and taller than I have ever seen them before. Too bad the fields were plowed up last month - had they been left there would have been a thick carpet of flowers and grasses. Every year the yellow flowers appear first. Next will be purple and then pink. I noticed two red poppies but the rain had damaged their petals and they weren't pretty enough to take a picture. I walked through the trees and noticed the first bud. Spring is around the corner. The dog and I walked back towards the house. Yusef had taken the tire to be repaired and had returned and put it back on. As soon as he'd finished the rain began to pour down again. After a bit we piled back in the car and came home. The fresh air had been good for us. We were all in a better mood. Today's my oldest sister's birthday. Blue skies this morning! If they hold out I will venture forth this afternoon with the kids to the farm for some fresh air. The forecast says more rain but we'll see. Meanwhile, I'm doing laundry and cooking lunch. Thing 1 and 2 and 3 and 4 and 5 and 6! We had a big storm this afternoon. The sky went black and it got really windy. Then it started raining hard and hailing. The wind was blowing the rain horizontally and it was hitting the windows with such strength that I thought for sure the glass would break. After the downpour the temperature dropped and it has been icy-cold outside tonight. It's been raining off and on all night. The streets are flooded and it's dangerous to drive around because you don't know if the puddles you drive through are a few inches deep or if there is a deep hole hiding beneath the water's surface. The weather is supposed to be pretty much like this for the next four days. Actually I enjoy this kind of weather but the kids have school holidays and are stuck inside. Remember that Dr. Suesse book the Cat in the Hat? The story starts out with the two kids staring out the window at the rain, complaining about being bored with nothing to do. Along comes the Cat in the Hat and the Things.... hmmm... I think I have given birth to things! Not one of my kids sits still and gazes out the window, and they certainly don't get upset when the house is turned upside-down. My house looks a sight and I have given up trying to keep it straight. The kids go back to school on Sunday... I cannot wait... I'm counting the minutes. My weekend plans collapsed under the buckets of rain that fell from the skies. Thursday we hung around the house mostly but decided to go out to Cinnabon in the evening to get a change in scenery. Friday's plan was to go to the mountains - more rain. Instead of a hike in the hills the kids watched TV in the living room and I ended up in my bedroom watching the movie 'The Kingdom'... a power-packed propaganda film... uuugh. The weather-ruined weekend and the thought of demolition is depressing. Still one day left of the weekend... see what happens tomorrow. School holidays... what to do? The kids have a 15-day holiday from school and they have spent it so far just hanging about the house, getting under my feet and driving me insane. I promised them I would take them someplace this weekend. I'm taking an extra day off work partly to keep the kids happy and partly because it coincided with the Muslim holiday of Ashura; meaning most of the students wouldn't bother to show up that day anyway. We're still not sure what we'll do with our extended weekend. As usual no one seems bothered by the lack of definite plans but me. I found my mom online today. We had a nice chat. She told me that she's been giving telephone sales people my phone number here in Libya. Eventually some idiot will call me. It started raining when I got to work. 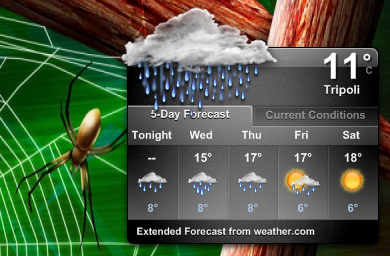 When I got home Jenna asked me to check the weather widget to see what the weather would be like tomorrow.... more rain! I love the rain. The sound, the smell. It makes me happy, especially after a very long and dry summer. The weather is driving me crazy. Last week it rained and I was so happy because I like rain. Two days ago it was hot and I had worn a sweater thinking it was going to be chilly. I ended up feeling miserable. Today the weather is still undecided - it looks like it might rain... but then maybe it won't. Jenna makes me check the Yahoo Weather Widget every morning before she goes to school so she knows which coat to put on and whether she should wear a sweater or not. Today I told her 'Changeable! The weather is changeable today!'. I am hoping it rains again. My raincoat is hanging on the door waiting to be worn again. The kids are in the middle of exams and as usual I am trying to keep myself under control so I don't yell and scream at them. I've given up turning off the TV... they just turn it back on again. Top that off with the fact that Hubby went off to Suk Juma this morning and came home with one of those old-fashioned Tetra 'Brick' games. He paid half a dinar for it and the kids are wasting time playing with it and the sound is driving me mad. He said it was for Ibrahim, who doesn't have exams, but of course the other kids are having a great time with it too. What was he thinking? I am waiting patiently for the batteries to wear down. On another note: Last Wednesday I staged 'Movie Night' at my school. 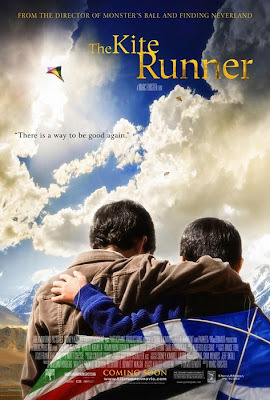 My students and a few guests watched the movie The Kite Runner (while we stuffed ourselves with popcorn). I stopped the film between scenes so we could answer comprehension questions and make predictions about what would happen next. We'd prepared earlier in the week with a character list and some vocabulary to get an idea about what the film was about. The film is based on a book by Khaled Hosseini that is available at some of the bookshops in town and some of the students are now interested in reading the book. Participation in Movie Night wasn't mandatory for the students. Participation wasn't 100% because some don't like films, or weren't interested in this particular film and some couldn't come because it wasn't during regular class time. But even so we had a full house because we combined more than one class and now the students want to see more films at school in the future. So now I am on the quest for putting together the next and future Movie Nights. Does anyone have any suggestions of what they think would be the perfect film to show to Libyan English students? Click on comments and let me know. What has happened to Safia Speaks? 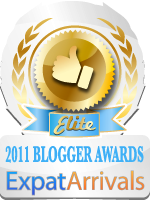 The blog has disappeared! Oh my ... and I was addicted! What shall I do now? Jenna has informed me that she has hardly anything to wear. That was hard to believe considering her wardrobe is filled to overflowing; the door is nearly falling off because the the amount of clothes she's got stuffed in there! Last night she dragged out all her clothes and tried them on and and sure enough hardly anything fit anymore. My little girl is growing up! So we're planning to do some shopping this weekend. Just the two of us. The big problem that we'll face is that she is in that in between stage; she doesn't fit into kiddy clothes anymore and she isn't big enough to get into women's clothes. The range of her size is extremely limited. So this is going to be a project. It's hard to be a pre-teen girl in Libya! They want to look good - not like a little kid but at the same time many of the clothes available make them look too old. Shopping for clothes is a chore. On our side is the fact the Jenna likes shopping and is good at it. She has the ability to walk into a shop and know almost instantly if there will be anything she might like. She also doesn't like to buy pre-matched outfits - she prefers to match things herself and she's excellent at doing that too. These are qualities she inherited from her mother. Her father's a good shopper too, but he takes forever to make up his mind which is why he is definitely NOT coming along on this trip! 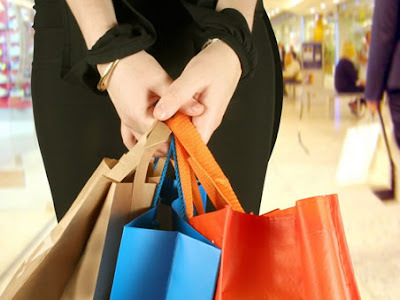 In a way I'm looking forward to this upcoming shopping expedition. We'll make it even a more memorable event by stopping at a cafe or restaurant - just the two of us. What better way to begin the new year? New clothes and accessories - and some shoes too! Just gotta get out the cash and make it happen.